You can support Lycoming in several simple and savvy ways without reducing your income or diminishing your savings. Think about using assets that can be transferred to Lycoming without legal expense. You may have bank investments, retirement, insurance, stock, or mutual-fund accounts that you can use to accomplish your charitable goals. All of these assets can be transferred by completing a POD (Payable on Death) or TOD (Transfer on Death) form. Some companies also call these beneficiary designation forms. This completed form tells the account custodian what to do with the account after your passing. You can name Lycoming in your long-term plans today without a negative impact on cash flow or lifestyle. Keep it simple and savvy. Ask your bank for a POD form. Ask your retirement plan, investment account or insurance company for a TOD form. Designate and donate with any of these assets. It takes less than five minutes of your time. You can make a gift and leave your cash flow and current financial planning unchanged. You can make a gift with appreciated assets and save taxes. You can use your retirement plan for charitable giving (give your heirs assets with lower tax burden). Ask the plan custodian for a TOD form. Some companies also call these forms beneficiary designation forms. Learn more about designating and donating a portion or all of your retirement plan. Ask the brokerage or mutual fund custodian for a TOD form. Some companies also call these beneficiary designation forms. Learn more about designating and donating appreciated stock or mutual fund account plan. Learn more about designating and donating savings bonds. Ask the insurance company for a TOD form. Some insurance companies also call these beneficiary designation forms. Learn more about designating and donating a portion or all of your life insurance policies. Ask the bank for a POD form. 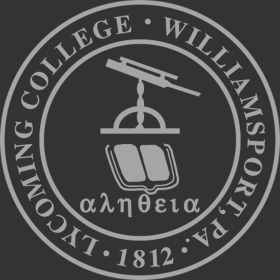 After your passing, what remains in the checking or savings account will be transferred to Lycoming College. Learn more about designating and donating your bank accounts. You may have a loved one as the joint-owner of an account. You can still designate and donate. Learn more about designating and donating jointly-held accounts.